You have the freedom and space to move forward with your plans and activities once again. 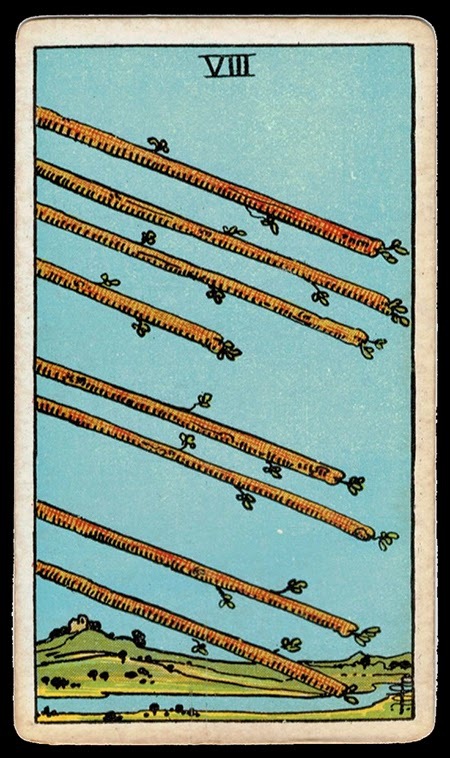 The Eight of Wands contains a high level of energy and movement that propels you forward to reach your goals at a much faster pace than ever before. You can expect to be very busy but this is one of those ‘good busy’ periods where you are enthusiastic and energetic about the progress you are making.